Pfc. George Wayland Brock, son of Mr. and Mrs. J. R. Brock, Newcastle, husband of Wanda Sostrich. 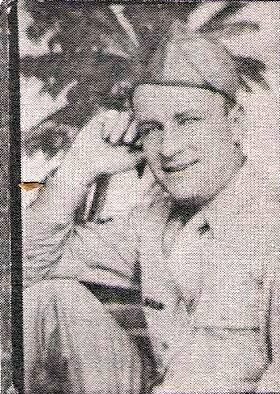 Entered Army in 1942, trained at Schofield Barracks, Hawaiian Islands. Served in Hawaiian Islands and Okinawa. Awarded GCM, Victory Medal, APO Ribbon and 1 battle star. Discharged in 1945.